We took a road.trip to Destin when Aiden was itty bitty and it was an absolute dream trip. Here are some pics....and here's to wishing we can take another one asap. Oh the sand on the face...so sweet! i just love the pic of you kissing him! presh. Precious itty bitty aiden!!! We are going to destin in a couple of weeks & I'm so excited to get some sun on these mountain girl legs! sooo sweet - i love his baby pictures - That pic of Chris is totally Ainsleigh's face, does she look exactly like him? totally seeing it! ....LOVE how your kids are complete images of each one of you! Love Destin! These pics are great, love the one of the three of you from behind, sitting on the beach! oh my - that last pic of him is so cute! ha! :) hope you're having a good week!! Those sand pictures are so great! Love the one with it all up in his face! i loooove destin ... we go every year ... you can't beat the white sand, shopping, food and pure relaxation! Gorgeous photos! I love the sandy faced close up, too cute. 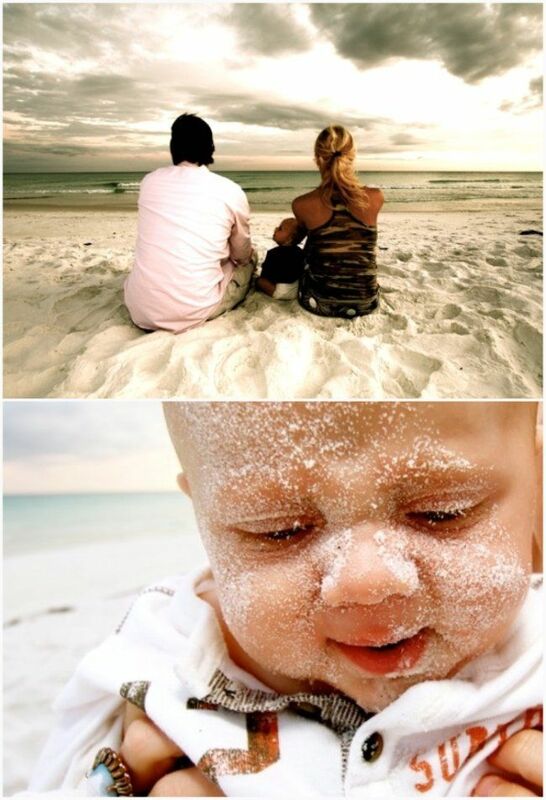 Oh the sand on the face. I am sure it wasn't easy to clean off, but dang it is so so cute! COME! it's 30 mins from us!! i can't say enough. you have a beautiful family! these pictures are stunning. love!! The ambiance and lighting in those pics are perfect! Destin in a-mazing! I got married on those beaches and can't wait to take my baby girl there! Beautiful pictures! What a doll!---sand on his face! Sweet pics! Amazing shots. Lighting makes it look ethereal. His face---adorbs. I love Destin. Best flat tire I ever got! ah, what kind of camera do you use. these pictures are flawless. I love those pictures, especially the one of all of you on the beach. I love the way the little man is looking up at his dad. too sweet. we were looking at destin the other night as a possible vaca spot for next summer! your pics are gorgeous, makes me long for the beach!